We had a great time photographing Lucy and Blake’s stunning wedding yesterday! 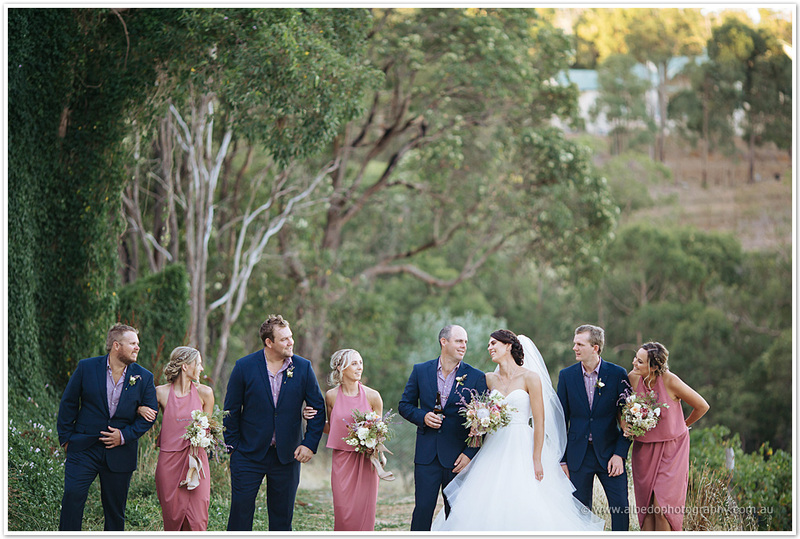 Here is their slideshow that was shown at their reception at the photogenic Darlington Estate. Their beautiful ceremony was held under the trees, surrounded by bush. We wandered around the Estate for bridal party photos before their reception. Highlights of the party included some hilarious speeches, including the voicemail left by Blake asking Lucy’s dad for permission to marry her, as well as delicious food, an outdoor dance floor under fairy lights and lots of dancing – Kalgoorlie style! A big thank you to you both for having us along for your wedding day, you guys were both awesome and it we had an epic day!